The Brenizer Method is a term given to a technique that involves taking a large amount of images at a shallow depth of field by using a lens with a long focal length, then taking all of those images and stitching them together. This will create one single image with a beautiful wide-angle view of the scene with a very shallow depth of field and high-megapixel count. The technique was developed by a well-known wedding photographer by the name of Ryan Brenizer. His work is highly recognised for this style of imagery due to its unique look. What I love about the Brenizer Method is that you can get beautiful high-megapixel images that resemble a similar look that could have been created by a medium or large format camera. Over the past two years I have been using this method with my photography more and more to create very different images. It pushes my creativity to new levels as not every capture works, so I become more patient and try to make sure that the landscape I’m photographing suits this type of photography. The Brenizer Method has been traditionally used for photographing people as it helps to isolate them from the surrounding subjects. 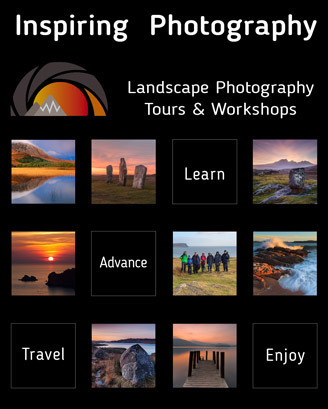 However, I want to show you how you can apply this method to your landscape photography. Read the whole article inside issue 66. Why Do We Shoot Landscapes?